I'm no doctor, my last multivitamin was in gummy form, and I haven't had a prune since all the Golden Girls were still alive, so take the following with a grain of salt: Sometimes vegan diets are imbalanced. It seems the culprits are normally too much sugar, favoring grains over legumes, and going overboard with trendy foods like kale and quinoa (kale is the Jennifer Lawrence of cruciferous vegetables. I like it just fine, but don't really get why everyone's crazy for it). Getting my daily protein requirement is easy; I'm told a good rule of thumb is the same amount in grams as your weight in kilos. 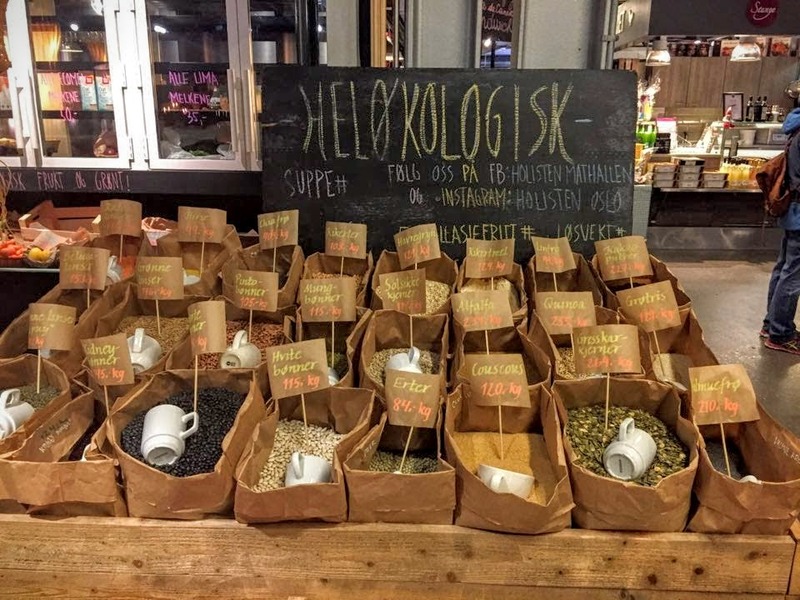 Finding plastic-free, zero waste supplements is another story. I prefer whole foods for absorption, like chaga mushroom for Vitamin A, hemp oil for Omega 3, pumpkin seeds for lysine, or one Brazil nut for selenium daily. However, whole foods present a host of problems. For instance, biotin, choline, and chromium are not precisely measured in foods. The body can use only about 50 percent phosphorus from vegetable sources. Sea vegetables, which are rich sources of iodine, may contain far more than is safe for ingestion. Nutrient content of fruits, nuts, and vegetables varies depending on the soil they’re grown on and irrigation and fertilization practices. Finally, absorption is affected by the way foods are prepared. Everyone's needs are different, but for me, getting plant based nutrients from whole foods is the best option. I don't seem to absorb supplements well, yet experienced a surge in energy and health when I started eating this way. It may be too early to tell if the effects of my vegan and gluten-free diet are sustainable (I feel I must emphasize that I'm genetically obliged to eat vegan and gluten-free. It's not a choice). I do know my hair and nails are growing twice as fast now- my friends tease me about my Tony Montana pinky nail- and my skin cleared up. That's good enough for me! The table below started out as only the stuff I actually eat, which is why whole grains don't figure in much. I eventually added things like tempeh or soy. Note: Some people need supplements no matter what they eat. Common examples include vitamin D2 from yeast or Vitamin D3 from lichen, fortified nut and seed milks, and phosphorus. Sources are Harvard (that's why the daily values are for women), One Green Planet's Plant Based Nutrition series, Linus Pauling, and a bunch of Cleveland Clinic stuff from the nutritionist my doctor made me go to. According to my doctor, my blood pressure, blood sugar, and cholesterol levels are all great. Apparently your DHA levels will be good if you cook with lots of olive oil and eat avocadoes, flaxseed, seaweed, etc. I don't understand how girls can live on just a smoothie for breakfast. Smoothies are beverages, not breakfast! If my grandma is Vitamixing it will have an avocado, two kiwis, an apple, a bag of spinach, and maybe cabbage or something random like that. If I'm going to the juice press down the street it usually has radish, pear, cucumber, fennel, and some other tasty things. The nutritionist's main concern with me is that I eat too much, but I've gradually gained strength and muscle tone and my feet are no longer always freezing cold since adopting this diet. For the liver, milk thistle and mulberry work great for me, and white willow bark eliminates my pollution-related migraines. But this is my own experience. Everyone is different, and I'd never want anyone to risk their health in the name of zero waste, so please consult a physician before discontinuing or adopting a new regimen. If there are any nutrients I missed please let me know- I'll try to find a vegan, unpackaged supplement alternative. For zero waste medicine, click here. This post is just what I needed. Have printed out your chart and will use daily. Thank you so much. I'm so happy to hear that! You are so sweet! Thank you for this! It's very helpful to me. I also appreciate that you say put health before zero waste. I have an autoimmune disease, and supplements are part of my treatment regimen (no matter how much sun I get, I just cannot keep my vitamin D levels up!). Luckily, our co-op buys supplements in bulk and sells them in glass bottles with small plastic caps, so that's nice. That is awesome that your co-op does that, what a great idea. I'm not sure we have anything like that here but I would love that. We have herboristeries that sell things in compostable paper bags and reusable bottles would be way better! We can't take care of the planet if we don't take care of ourselves first! I'm glad you are blogging about this. I'm interested to hear more about how you are avoiding using plastics in particular. Hi Lilah, thanks! The zero waste tab has all my posts so far. I guess I don't use the term plastic free that much but I buy things unpackaged and keep them in glass. That's a great idea for a post though- like simple ways to live plastic free or something? The blog The Rogue Ginger (under the About tab in the Zero Waste Blogs section) and all the other zero waste blogs there have more great plastic free tips! After having a baby and breastfeeding her (still at 21 months old), I have had to shift my diet and use of supplements. It was a very drastic shift for me and I think it is a helpful reminder to other women that we will have seasons in our lives when some things work or don't work. First, I have to eat way more consistently throughout the day or else I feel a big energy crash or weak. Second, in her first year of life, my daughter consumed so many of my calories through my breastmilk that I really had to work on eating enough for the both of us. Also, the quality of my calories mattered a lot more than before I became a mama- lots of fatty fish like salmon or sardines packed in olive oil, avocados, and sweet potatoes were key to refueling my depleted body. Carbs like pasta were never enough to fill me up and sustain me. Third, if I consumed dairy it irritated her digestive system so I switched to coconut milk creamer in my coffee and to plain kefir yogurt drinks when I felt the urge for something creamy. Finally, I had to take a multivitamin that contained folic acid, b12, vitamin d, and iron during pregnancy and after ward. I was never one to take pills but I think folic acid (especially) is so key for women that I made it part of my routine. Hi Nadya, this is so interesting, thank you for sharing! Did you find that your hair started growing longer when you increased your intake of salmon and sardines etc.? I started making coconut kefir from water grains and I really like it. I am not one to take pills either but I will definitely need phosphorus and a few other things. I seem to get enough vitamin D though. I did find that my skin and hair improved when I consistently consumed fatty fish. After birth, there is a natural hormonal drop about 3 months after delivery that causes many women to lose hair and to lose the "glow" that everyone likes during pregnancy. After that initial dip and with consistent diet, my hair grew back and was healthy again. Breastfeeding women in Boston (where I live) are recommended to give their babies vitamin d drops or to increase their own intake so the baby gets it through your milk. Since it is so dark here for much of the year, I think we get much less vitamin d than you would get in Paris. Oh I think so too. Boston winters are no joke. Where I'm from, in Cleveland, I think the winters must be a bit similar. People have such an issue with vitamin D deficiency and seasonal depression in the winter. I don't know how people can live in these areas without supplements! We have a little black board with a "menu" hard written. Every time we master a recipe, we add to the menu so that we know what to cook for a good meal. And we have a master grocery list on our phones. 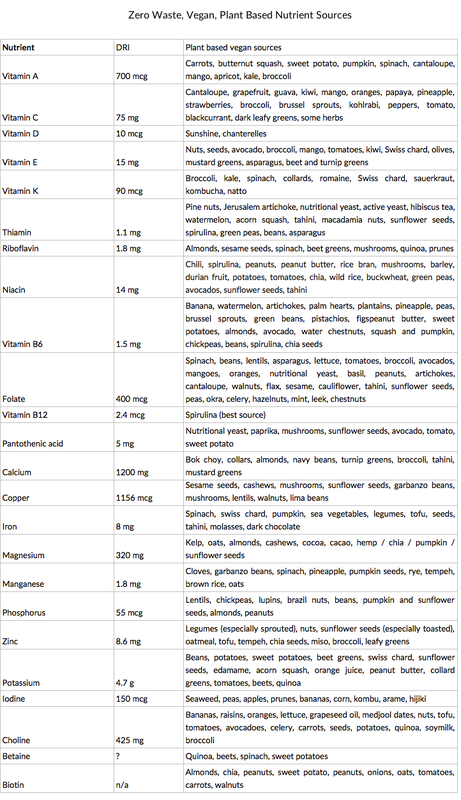 The list is based on nutrition like you listed in the above table. I have a table like this on my computer from which I picked items that I like to make it into the master list. We try to rotate and eat everything on the list in a month. I know there is no insurance policy that we get every needed nutrient without taking pills. But eating a variety of foods helps. Enjoyed reading this post. Very introspective. I think that's the real key- variety! From what I've read it seems that lots of different colors and flavors and mixing it up won't hurt anyone. Getting as much as we can from food seems natural and like a good idea. Thank you for sharing this. I eat mainly vegan these days (90% ish of the time), but still find that my peripherals are freezing cold - especially my feet! I'm so happy to hear you feel healthy and energized when you eat like this. I do too, and I felt so sluggish and uncomfortable before! This is so random, but there's a pole dancer I follow called Dirdy Birdy (Vietnamese Australian) who is vegan for personal reasons. She regularly posts about her vegan diet and what she does to build muscle, and she takes supplements too. None of what she ingests is faintly waste free, but it might be interesting to know what she turns to (she's also quite a gym junkie, so the whole point for her is to prove that plant based diets are just as acceptable as animal based diets in keeping you strong and growing muscle, but without the animal sacrifice). She doesn't have a blog, but she's on facebook and has instagram too (either as dirdybirdy or Anh Le). It could be a interesting perusal in terms of supplement alternatives. Haha thanks for the recommendation! Isn't the world's strongest man vegan too? In the documentary Forks Over Knives (I don't agree with all the science and the diet laid out in there but it's thought provoking) a UFC fighter and an Olympic medalist and a fireman all talk about how plant based diets helped them improve in their sport or training. Very interesting! What do you do for probiotics? Kimchi! And kombucha, nut milks, pickles I ferment with salt instead of vinegar, sauerkraut... you can get inulin from raw potato too. This is amazing! I had no idea spirulina was such a good source of nutrients, especially B12. I love being vegan but I find that I'm eating SO much food. It's good to see what someone else eats to know that it's not just me. I'm eating way more now too! I feel satisfied but I'm constantly craving veggies and fruits. I never knew any of this stuff either, I just wanted to make sure I wasn't deficient in anything and the research was really interesting. Hi, just heat some olive oil in a pan on medium, add onions and garlic, add coconut milk, stir in some red or green curry paste (mix garlic, coriander, ginger, kaffir lime, salt, tamarind and chili), then add vegetables. Bring to temperature, then turn off and let simmer until veggies are tender. Hello, I know that this is an old post, but do you mind sharing how you knew the migraines were pollution-caused? Was that from a specific diagnosis, or more comparing experiences in different cities? Your post is very enlightening, thank you for sharing your research. I am currently working really hard on improving my health, which is unrelated to reducing waste but actually dovetails quite nicely, as you can imagine.